This piece was created for the 'Your Brighton' Etsybition curated by the Brighton Etsy Team and was displayed, alongside 14 other artists at the Jubilee Library in Brighton, December 2016. For my interpretation of the brief, I decided to create 26 drawings for an A-Z illustration that reflected life in Brighton, as well as personal aspects from my experience of living here. 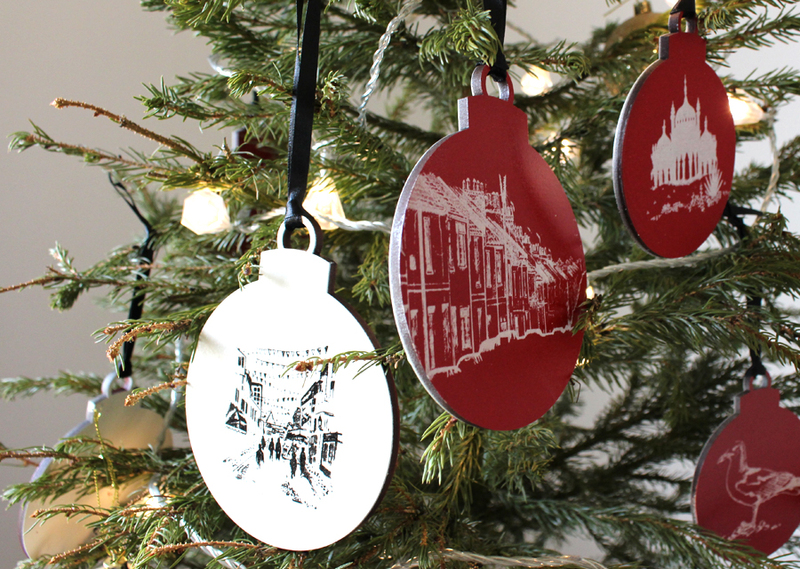 Using the more well known illustrations of Brighton, I produced a range of limited edition, screen-printed decorative baubles for the festive period. Can you work out what all the letters stand for?...It's like a cryptic illustration puzzle! Illustrations: Hand drawn using Copic Multiliner and Sakura Pigma Micron archival ink fineliners on cartridge paper. Festive baubles: Silk screen-printed using pigment acrylic inks, on laser-cut MDF baubles.